Dr. Alexander J. 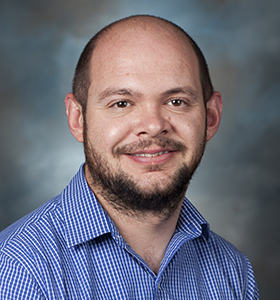 (“AJ”) Reisinger has joined the Soil and Water Sciences Department as an Assistant Professor of Urban Soil and Water Quality. We asked him to share a little about his background and future plans. I grew up in a small farming community in southeastern Nebraska. For as long as I can remember, I enjoyed science but didn’t really know the various career paths I could take. I started my undergraduate degree planning to go to medical school, but realized pretty quickly that I wanted my career to have a focus on the environment. I started working in research labs on campus, first as a technician (dish washer) and eventually as an undergraduate researcher. For my undergraduate research I was lucky enough to perform fieldwork on an island in Southeast Alaska studying the effects of timber harvest on salmon streams. I very quickly fell in love with streams, and developed an intense interest in asking how human activities merge with the natural environment. I ended up receiving a B.S. in Environmental Science from the University of Notre Dame. I then moved to Kansas State University, where I continued my interest in land-water interactions by studying the effects of riparian vegetation on nitrogen cycling in tallgrass prairie ecosystems and completing a M.S. degree in Biology. I developed my love for all things biogeochemical, and particularly nitrogen cycling, while at Kansas State, and measured nutrient dynamics in both riparian soils and in stream sediments. After my M.S., I emailed a large number of faculty with whom I hoped to work, and as luck would have it, there was a really interesting multi-institutional research project about to start, and I could complete my Ph.D. at my undergraduate alma mater – Notre Dame (I went back to ND for the research project, but it was good to be in a town where I felt comfortable). My dissertation research focused on water column nutrient cycling in large rivers across the United States. I would spent my summers in the field camping in beautiful locations like Southern Utah, Northern Michigan, and Grand Teton National Park. Despite some of the remote and beautiful locations, the main focus of my research was looking at how human activities in the watershed alter nutrient dynamics in the rivers (sensing a theme here?). It wasn’t until my postdoctoral research position at the Cary Institute of Ecosystem Studies that I started really focusing on urban ecology and urban environmental quality. My postdoctoral project focused on the effectiveness of stream restorations in Baltimore, Maryland, for reducing nitrogen export to the Chesapeake Bay. I worked with a multi-disciplinary, multi-institutional team composed of ecologists, hydrologists, sociologists, and economists, to identify the integrative social, economic, and environmental effects of stream restorations. This project highlighted the environmental issues of urban areas, but also showed me that a lot of good work can be done in urban communities to make a positive impact on environmental quality. Ultimately, it was this work in Baltimore that brought me here to UF, and I hope to employ some of the skills and tools I learned in Maryland to urban communities here in Florida. What part of your research are you most proud of or excited about? I think there are a lot of fundamental ecological questions that are still unanswered in urban environments. Often urban ecology is viewed as an inherently ‘applied’ field, and while I agree that there are a lot of research avenues in urban ecology focused on applied science and various management strategies, there are still quite a few fundamental questions for which we don’t have good answers. Urban locations represent novel environmental conditions in which human activities have intensely altered the physical, chemical, and biological environments. Some of these activities are ubiquitous in all urban locales, whereas there are other unique, independent changes specific to Florida. I’m excited to test how these human alterations to environmental conditions impact soil and water quality in urban environments throughout Florida. For example, water coming from residential areas often contains a mixture of multiple pharmaceuticals and personal care products, which can alter the microbial community in the environment, which in turn will change nutrient and energy cycling, and ultimately affect the retention or release of various chemicals in soil and aquatic ecosystems. What is your vision for your research and extension programs? 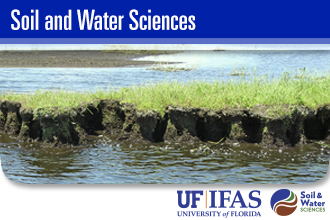 I will definitely continue to study nutrient and energy cycling in urban aquatic ecosystems throughout the state of Florida, while also expanding my research to focus on opportunities specific to the state. To me, it seems like a lot of research is being done surrounding various lawn management practices and how these practices affect stormwater runoff quantity and quality. 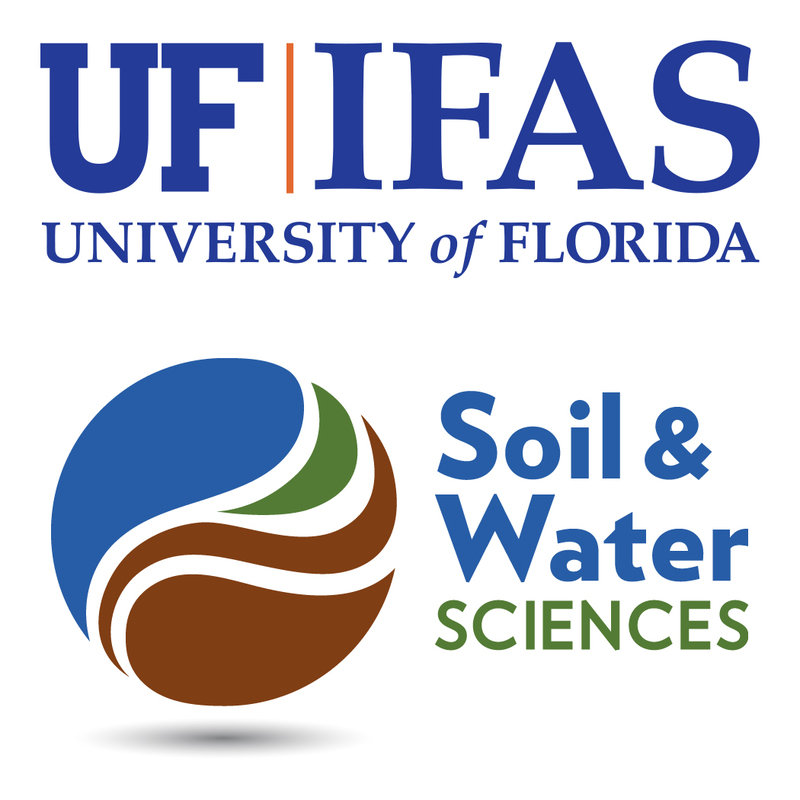 I definitely envision working with the experts already here at UF to gain a better understanding of the sources, fate, and transport of various pollutants from residential lawns. I also hope to build upon interdisciplinary/multidisciplinary experiences from my Ph.D. and postdoctoral research to gain a broader understanding of the socioeconomic implications of urban environmental quality. I think the best way to make a difference in the environment is to understand the position of the various stakeholders involved in the community, and try to find compromises that fit the multiple users of our urban environments. I’m actively looking for other researchers here at UF who are interested in socioeconomic and ecological issues of the urban environment and would love to hear from anyone with a similar interest. In addition to my research, I will be developing a statewide extension program focused on urban soil and water quality. A lot of my extension program will revolve around communicating the sources, transport, and fates of various chemical contaminants found in urban environments throughout the state. Whether I’m focused on nutrient pollution, heavy metal contamination, pharmaceuticals in our waters, or some other soil/water quality issue, I hope to provide an ecologically sound explanation of the issue at hand, potential consequences, and various management efforts which could be undertaken to mitigate any negative consequences. My extension program will include the development of in-service training modules, webinars, EDIS publications, and short video clips, all aimed at providing the public a broader, more thorough understanding of urban soil and water quality issues in Florida. What do you foresee as being the biggest challenge ahead? We as a society have strong, in-grained opinions on what constitutes a ‘good’ urban environment. Some of these opinions vary from place to place, but as a whole, people have a specific image in mind when they think of a healthy, attractive urban environment. Often, these views are in conflict with a traditional environmentally friendly management view of what a sustainable urban environment should be. I think a large portion of my role here at UF is trying to balance these two seemingly (but not necessarily) counter viewpoints. For example, we don’t necessarily have to sacrifice soil/water quality to achieve aesthetically pleasing lawns. I think the biggest challenge for me moving forward is trying to balance these two different ends of the spectrum, and trying to work with the various stakeholders throughout the state to improve urban soil and water quality, without sacrificing the wants and needs of other stakeholders. Do you have any exciting projects or collaborations underway? I plan to continue working with my postdoctoral advisors at the Cary Institute in Baltimore, Maryland as a part of the Baltimore Ecosystem Study, a National Science Foundation Long Term Ecological Research station. I am also affiliated with the Program for Resource Efficient Communities and the Center for Landscape Conservation and Ecology here at the University of Florida. Through these programs, I will be working with faculty from multiple colleges and departments across UF to move towards more sustainable urban communities. I don’t have any research projects under way in the state as of yet, but I am excited to get a variety of different projects up and running! I really love my job. I love the variety of projects I work on in a given day, the range of tools I have to use on those projects, and the overall subject matter that I am studying. At my heart, I’m just a biogeochemistry nerd who wants to improve the environment, so whenever I can work on environmental quality issues from either a research perspective, or communicate with the public about the issues at hand, I’m happy. I ultimately think that the biggest environmental gains and improvements can be made by improving the environmental sustainability of cities, both new and old, and my job is letting me be at the forefront of those issues. I hope that my research and extension programs will add to our understanding of the issues at hand in urban soil and water quality at local, regional, national, and global scales. It’s a pleasure to be working at such a great institution with so many resources at hand, yet so many interesting questions and environmental issues at stake.